“TWITTER STRATEGY SESSION” designed to take the mystery out of Twitter. “Keith Keller is amazing in every way! Keith Keller helped me quadruple my sales! He is truly a social media expert, full of knowledge, tools, resources and strategies it could take years to research on my own. In addition to his expertise, he is also a great guy, generous and supportive. I have learned so much in the short time we have been working together, and have already seen a huge difference in my bottom line. “Keith’s Twitter knowledge, support and enthusiasm is world class. He patiently takes you from zero knowledge, showing the best way to implement it and most efficient tools to use, to hero Tweeter with targeted followers. Keith’s now become my Go To Guru for all things Twitter - he gets it!. “I have had the pleasure of working with Keith to learning about Twitter, how to use Twitter, ways my business could benefit from Twitter and I have to say, people are experts in their field of service but Keith takes the definition of expert to a whole new level. He really is the guru of Twitter, and it doesn’t end there. His enthusiasm is addictive and is very personable. He is so sharing that he is always there to answer any questions but is generally always one step ahead and always seem to provide the answers before you even have to ask! Keith is truly the Twitter Specialist and the best in this field. “I recently co-authored a bestseller book called Unbreakable Spirit. He began a Twitter campaign and tracked it with a new hashtag #UnbreakableSpirit. In just a few days I had over 2,000 hits on the link he created. He also provided many tips and tools for me to be more effective and efficient with Twitter. “He guided me when I started twitter and gave me so many great tips and advice on how to use social media to garner support from creating short links to attention catching headlines! Because of Keith’s relentless support, I was voted Top 2 in the world and for several weeks, received the most votes in the US as well. Keith really knows and shows true passion for social media and helping people to reach their goals through it. I was honored to be a guest on his show (Career Success Radio) in addition to his social media talents, he is a great listener and host as well! “I first met Keith on Twitter, when he took the time to respond personally to my follow. Given that he has well over 30K followers, I thought I was seeing things at first. But sure enough, he was the “real deal” and his informative Twitter-feed turned me into an instant fan. I am an actress, and, at the time, not many had knowledge about how Twitter worked, or how it could be used by people in my field. I am continuing to train with him in his “Global Twitter Kickstart Program”. Keith is imaginative, and “clued in” at such a high-level; I feel like I have a “Twitter Super-Hero” on my side as I delve deeper into my goals within my industry (Acting / Entertainment). 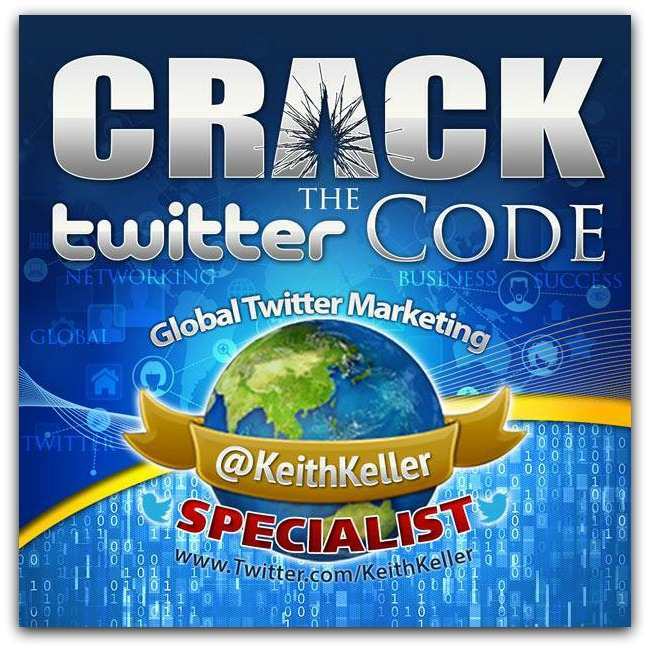 “Keith describes himself as the “Twitter 4 Business specialist” but he is so much more. “The moment I began speaking with Keith over Skype my enthusiasm and motivation went through the roof ! I am a singer/songwriter in the middle of building my music career in Philadelphia, and one of my weaknesses is knowledge about how to use Social Media to benefit my career. Keith took our project to the next level with increased views of my You Tube channel, visitors to my website, and increased followers on Twitter.